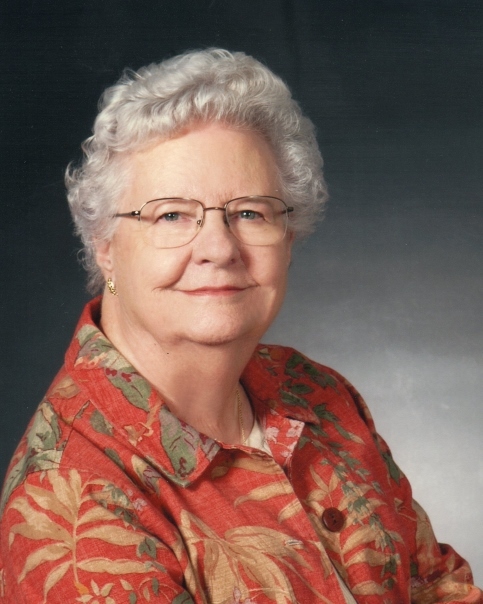 Florence Emogene Huslig, 93, passed away Thursday October 11, 2018 in Norman, Oklahoma. She was born October 23, 1924 in Norman to Orban W. and Eva Florence Appleby. She was united in marriage to Clarence “Clancy” Huslig on June 21, 1954. Emogene attended University High School and the University of Oklahoma. Soon after graduation from college she was hired by the University and spent the majority of her thirty-six years at OU as an Administrative Assistant to the Dean of the College of Arts and Sciences. Colleagues were always appreciative because when she was given a special assignment, it would be done and done well. In 1984 she retired. Emogene was a member of the University Women and the Norman Garden Club. She was a member of St Michael’s Episcopal Church and director of the altar guild at St Michael’s for a number of years. She is survived by her family of choice: Tom and EAnn Robinson, their children and grandchildren. Emogene was preceded in death by her parents and her husband, Clancy. We would like to thank Jenny Hancock, the staff at Brookdale Assisted Living Center, Synergy, and Good Shepard Hospice for their love and care these past few years. Funeral services will be at 1:30 Tuesday October 16 at St Michael’s Episcopal Church, 1601 W. Imhoff Road, Norman, OK. In lieu of flowers donations can be made to St Michael’s or the Alzheimer’s Association.